Are you part of a space commerce start-up, or a space company, and are looking for a partner and collaborator to help find financing, and explore business opportunities in the space industry? Get in contact to find out more. The Space Commodities Exchange is one of Space Ventures Investor's Joint Ventures and will position commodities in orbital trading facilities, from Earth LEO and geosynchronous orbits out to the Moon, servicing Government and Private operations, like satellite refuelling. SpaceFund is launching a Space Fund for Limited Partners, and will be liquid via a limited number of security tokens allocated to limited partner investors. Orbitfab is developing satellite refuelling technology . They are currently testing technology on the International Space Station that can be used for the first gas stations in space for satellite servicing. Orbital Transports is developing a range of space infrastructure solutions. Odysseus Space won the SpaceResources.lu Challenge of the ESA Space Exploration Masters Competition and is a developer of small satellites. Polaris Spaceplane was founded in 2018 and focuses on developing the Aurora: A spaceplane that will offer fast access to space, a drastic decrease of costs and turnaround times, and increased payload delivery flexibility. The Aurora design was developed at the German Aerospace Center. Aurora is based on the experimental Hopper orbital spaceplane and reusable launch vehicle / Phoenix developed in the 1990s and 2000s. Black Arrow Space Technologies is developing a rocket engine that will combine liquid oxygen (LOx) and liquified natural gas (LNG) as fuel for an efficient and less complex fuel tank and turbo-pump design. The planned seaborne launch system will offer multiple launch options and benefits, e.g. does not rely on weather and location. Super Vision Services specialises on earth observation for infrastructure clients; energy, waste, and facilities. Space4Good offers independent assessment of start-ups regarding their earth observation business models and technology proposition, and can act as a consultant and service provider for NGOs on utilising remote sensing and GIS to make data driven decisions. Brand Delta-V offers services to NewSpace startup such as marketing, strategy, product fit, and fundraising. The Center for Space Commerce and Finance (CSCF) offers a Business Plan Competition and organises Space Investment Summits. The Berlin Space Consortium is a full-service European small satellite provider. Services include small satellite and CubeSat specification, design, prototypes, manufacturing, fleet management, launch, and operations. The highly specialised space companies, institutions and individuals, that make up the Berlin Space Consortium, have combined their expertise and knowledge to scale-up from their existing space technologies and business models. Between them, they have an impressive space related educational, commercial and research & development portfolio. Sunna Wedra is developping a patented "Solar Storm Early Warning System". The Solar Storm Early Warning System will use several Cube satellites, exposed in the direct Earth-Sun line and positioned in the form of a funnel. The satellites will measure the speed, temperature and density of particles from solar storms, providing valubale Space Weather data. PLD Space is a European space startup (based in Spain) dedicated to providing commerical sub-orbital and orbital launch services for small payloads (e.g. nanosatellites, cubesates). The NewSpace People network is the go-to place to source regional business information within a global context. The platform is a 100% free solution for searching for and sourcing suppliers, expertise, and building pipelines of contracts across global markets as well as an excellent source of business information to track, assess, and predict the commercial forces in these markets. The network is marketed to both the space industry and professional audiences in related high-technology markets to increase awareness of the growing entrepreneurial culture of commercial space organisations. 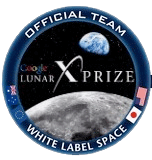 White Label Space is a team competing in the Google Lunar X Prize, was formerly based in the Netherlands, and is now in Tokyo. The Japanese team are developing technology to compete in the next moon landing. If you are interested in a space commerce collaboration, would like to find a newspace partner, or advice on funding a space startup, then get in contact. Luxembourg's government supported Space Agency is focussed on Space Resources. The European Space Agency Business Incubation centres are throughout Europe. The look for innovative space technologies to create new products and services in space and non-space environment / downstream markets. Space Competitions: For startups and companies. A list of space competitions. Space Ventures Investors sponsors engaging space commerce related content makers via Patreon. Astrum is on You Tube, it is a maker of informative videos covering the Solar System and spacecraft. UK based. Curious Droid is on YouTube, and covers space, aerospace, robotics, transportation technology and other similar technological subjects. UK based. TMRO is on YouTube has weekly segments, was formerly Space Vid Cast, covers new space developments, including Earth, the Moon, Mars and out to the Cosmos. US based.